Posted on Saturday, September 16th, 2017 at 3:43 pm. 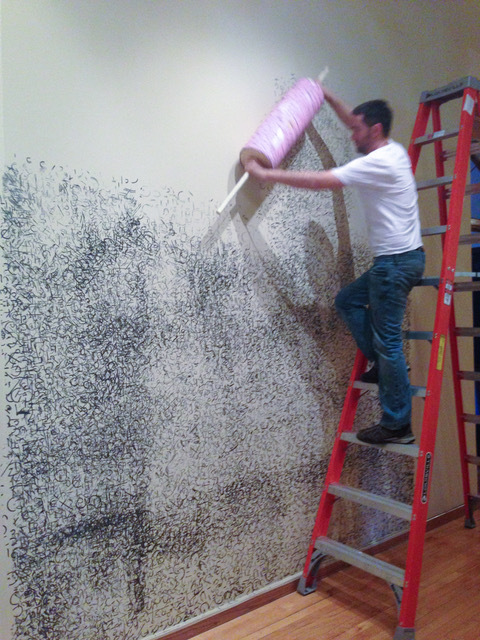 Migrations is a huge gallery installation printed by handcast rubber stamps and ink of iconic images created by UNL students, inspired by Visiting Artist Suhka Worob. The possibility to carve and cast one’s own rubber stamps enables unique icons for repeat printing and layers to accumulate and evolve. 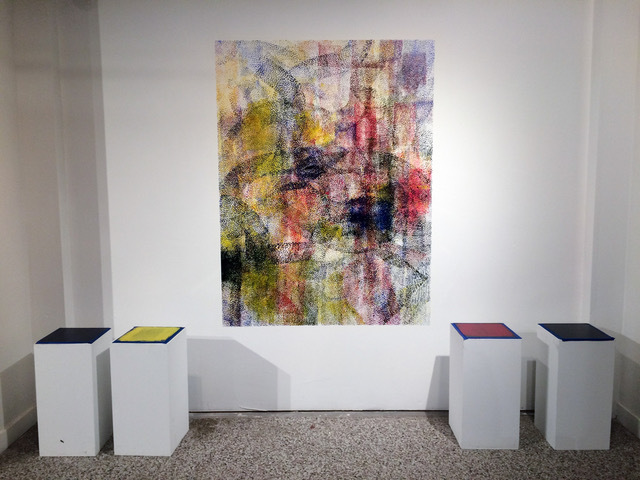 The students did the stamping and printing on the large gallery wall, creating patterning and concepts of mass migrations – of birds, insects, herds, people, and the conveyances that transport the many individuals that make up the whole. Worob will present his own print works on paper in a concurrent exhibition. He has developed this innovative casting process and DIY attitude to create with stamping and rollers for large scale printing impact of a myriad of symbols and signs.